A Security Summit was held on Tuesday November 3rd, 2009 in Baltimore, Maryland. It ran during LISA '09which runs from November 1-6. Discussed was security in large system installations with speakers from CTO, technical leaders, customers and community members. Kicking off the 4th session was a presentation on ZFS Crypto: Data encryption for local, NAS and SAN. The presentation slides are in PDF format. The original overall theme behind the creation of ZFS had been "to create a reliable storage system from inherently unreliable components". This theme is now changing "to create a secured reliable storage system from inherently unreliable components". Universal encryption in conjunction with data integrity had traditionally been considered "too expensive"... the implementation of ZFS helps to demonstrate that this may not be the case any longer. All data in ZFS is written via Copy on Write algorithm, meaning old data is not overwritten, providing for guaranteed data integrity (as long as the underlying hardware does not "lie" when something says it was written.) No RAID write hole in ZFS and no journaling required. End to end checksums are used for user data as well as meta-data which describes the user data layout, protecting data end-to-end - from disks on remote storage all the way to the host. The encryption policy is on the ZFS Data Set (looks like a file system) level. U.S. Government NIST 800-57 regulation require a key change every 2 years. Data in DRAM memory (primary cache) is decrypted, data in SSD (secondary cache) or on disk is encrypted. Various "use cases" are listed in the presentation slides. As reported on The Register, Red Hat quietly announced RHEL 5 as the "end of the line" for Intel Itanium. The processor market as basically split between two comodity CISC (Completed Instruction Set Computing) chip makers, Intel (x86) and Motorola (68K) where high-end workstation & server vendors consolidated in Motorola (68K) with PC makers leveraging Intel (x86). Motorola indicated an end to their 68K line was coming, x86 appeared to be running out of steam. A new concept called RISC (Reduced Instruction Set Computing) was appearing on the scenes. Wholesale migration from Motorola was on, many vendors creating their own very high performance chips based upon this architecture. Various RISC chips were born, created by vendors, adopted by manufacturers, each with their own operating system based upon various open standards. There was reletively small volume shipments to most vendors of full fledge processors, although the computing prices allowed for continued investment to create increasingly smaller chips to enhance performance. Many of these architectures were cooperative efforts, with cross licensing, to increase volume, and create a viable vendor base. The move to 64 occurred in most of these high-end vendors. As the costs for investment continued to rise, in order to shrink the silicon chip dies, a massive consolidation started to occur, in order to save costs and continue to be profitable. The desktop market continued to tick away with 32 bit computing at a lower cost, with 2 primary vendors: Intel and AMD. Many of the RISC processors did not go away, they just moved to embedded environments, where many of the more complex features of the chips could continue to be dropped, so development would be less costly. 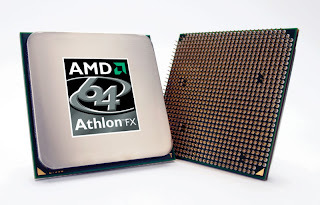 AMD later released 64 bit extensions to the aging Intel x86 instructions (which all vendors, including Intel, had basically written off as a dead-end architecture) - creating what the market referred to as "x64". 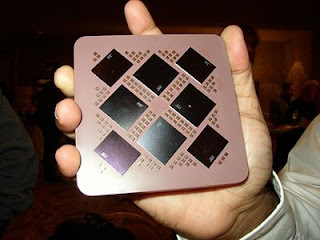 Intel was later forced into releasing a similar processor, competing internally with their Itanium. Much market focus started, consolidating servers onto this proprietary x64 based systems, sapping vitality and market share from RISC and VLIW vendors. HP really drove the market to Itanium, after acquiring many companies. There was a large number of operating systems, which needed to be supported internally, so the move to consolidate those operating systems and reduce costs became important. HP OpenView is one of those key suites of Network Management tools, which people don't get fired for purchasing. HP made announcements of their proprietary operating system HP-UX, Microsoft proprietary Windows, and open source Linux support for Intel Itanium. HP was never able to get OpenView traction with it under Linux under Itanium or Windows under Itanium, although they were able to provide support for their own proprietary HP-UX platform, as well as Linux under x86 architecture. With Open Source Red Hat Linux going away on Itanium. Itanium as a 64 bit architecture is clearly taking a severe downturn in the viable 3rd party architectures, and Network Management from OpenView will obviously never become a player in a market that will no longer exist. The IBM POWER architecture, even though it is one of the last two substantial RISC vendors left, has never really been a substantial vendor in Network Managment arena, even with IBM selling Tivoli Network Management suite. Network Management will most likely never be a substantial power under POWER. "Mom & Pop" shops run various Network Management systems under Windows, but the number of managed nodes is typically vastly inferior to the larger Enterprise and Managed Services markets. The software just does not scale as well. Sun SPARC Solaris (with massive vertical and horizontal scalibility) and Red Hat Linux x68 (typically limited to horizontal scalibility) are really the only two substantial multi-vendor Network Management platform players for large Managed Services installations left. Red Hat abandoning HP's Itanium Linux only continues to solidify this position. The New York Post reported today that the Oracle-Sun merger may be getting the approval of the European Commissioner. Neelie Kroes approved the deal after Oracle agreed to fund the open database software, dubbed MySQL, for the next three years at more than $24 million annually. At the same time, Oracle will form an advisory group of MySQL customers. No company can control an kill an Open Source project: if there is a problem, the project will just fork using other available developers - so there was little reason for the European Commission to express concern over the acquisition using the basis of MySQL. It does not take a genius to figure out that Sun invested $1 Billion US$ into MySQL and Oracle would need to fund MySQL from dying in order to make a return on that investment, when they purchase Sun. Oracle already funds InnoDB annually, so this is no surprise. There is little confirmation that Oracle would be able to raise $1 Billion US$ by selling them off, since the true monetary value of the (free & open source) MySQL is with the assets & service that are sold around it (i.e. servers, support, integration, etc.) Of course, any other company willing to buy MySQL would come under the same EC scrutiny, deterring other buyers. It also does not take a genius to figure out that MySQL is no competitor to Oracle, since Oracle already owns InnoDB, which is the main transactional heart of MySQL. The acquisition of MySQL by Oracle will allow for closer integration and higher transactional performance. It only takes a primary school education (i.e. the ability to read) to understand that the vast majority of applications which use Oracle do not offer MySQL as an alternative. In short, this seems like a reasonable way out, for the European Commission, of the position they placed themselves in, by making an attempt to stop a merger on baseless grounds and a misunderstanding of Open Source software. While some people ignorant of Open Source Software felt uncomfortable with the acquisition, the facts in the case did not merit concern. The EC found a way to save face - good for them! This is very good news for the world of Network Management. Why is that? Network Management, especially from a Managed Services perspective, is a very costly ordeal. When a Managed Services company wants to provide a view of their network from a Network Management tool to a customer, if a database is required (always required for large installations), then databases like Oracle require a Service Bureau License - which is very costly. Many Open Source Network Management tools, in an attempt to scale to the sizes from commercial vendors, need an database. An Open Source database like MySQL, with tight ties to Enterprise Databases like Oracle, is a huge benefit to all. Network Management: IBM "InThe Cloud"
Server Management can normally be done with or more recently, without a piece of software deployed on the remotely managed server. The hardware and software performing the management is normally referred to as server management system while the software deployed on the managed servers are normally called "agents". There are two two traditional options: (1) do it yourself by investing into the hardware, software, and human infrastructure or (2) outsource it with a good analyst interfacing back to the service provider and gague performance through metrics. IBM recently talked up an option based upon the second option. Traditionally, a service provider will provide monitoring by containing management hardware and software in a data center with secure connections to a customer's data center. Pricing is sometimes difficult to gauge when going into a request for proposal. Take the management station and stick it in the internet somewhere. Seems to be related to Option #2, since most outsourcers already provide web interfaces into their management systems and reporting, but we have yet to see the specifics on it. Here is IBM's latest offer with Tivoli "in the cloud". Meanwhile, An agent-based OS and application monitoring option uses IBM Tivoli 6.2.1 and IBM Composite Application Manager for Applications, costing $58 per month per node. The service also requires a rather steep one-time $6,500 setup fee per customer for "on-boarding costs." Service contracts are a minimum of 90 days and run from one to three years. This looks like a fine example of the outsourcer outsourcing their infrastructure to provide a service to a customer. Computing systems have traditionally provided way to metric the health of the system. UNIX System V systems have depended upon "System Activity Reporting" or "sar" tool. The "sar" tools can be set up for automatic collection. Scheduling in Solaris is done using the "crontab" facility. The "cron" daemon wakes up on a regular basis and runs scheduled tasks for individual users. To see the scheduler running, it appears in the process table. The task lists scheduled by users can be browsed. The "sar" is typically scheduled by the "sys" user. The default is to not run it, by commenting out sample entries. The following "sys" "crontab" entry will schedule 15 minute collections of performance metrics. The correct way to list your scheduling information by user is to use the "cron" with "-l" option. The historic data is held in a file system directory. They are stored by numeric day number for a total of one month. drwxrwxr-x 2 adm. sys. ....512 Dec 6 00:00 .
drwxrwxr-x 9 root sys. ....512 Dec 5 03:10 .. There are dozens of reports which can be viewed. The historic CPU report can be seen with no option or "-u" with "sar", for the same day. Historic memory usage can also be seen via "sar", using the "-r" flag. The "sar" command will also accept a file specifying a historic database, from a previous day in the month. There are many other performance data sets which can be extracted once retained automatically from solaris, these are only starting examples. SUN, whose stock ticker was called "SUNW" had traditionally been a desktop company. In 1982, SUN started marketing "W"orkstations, which were full fledged UNIX systems on the desktop, where those desktops ran everything from desktop applications to mail servers. Sun gradually become more server oriented during the 1990's with the expansion of the Internet, moving toward thin clients with the original SunRay1 in 1998. When Sun's computers were moving to UltraSPARC processors, their desktop solution was sensibly called "Ultra-Thin" clients (hence, the commands start with "ut" mnemonic) because very little processing was required on the desktop and most processing occurred on the server. A SPARC server can support multiple "Utra-Thin", or now called "Sun Ray" clients, using a simple modern Solaris OS in conjunction with SRSS 5 or Sun Ray Server Software. The 64 bit upgrade to the 32 bit version of jdk1.6 is installed. Verify the version of Java on the platform is sufficient and upgrade if not. Unzip the Sun Ray Server Software in preparation for installation. Add the appropriate services to the /etc/services file. Decompress & burst the tomcat archive using GNU tar to help the administrator manage the Sun Ray Server Software via a GUI configuration tool. Perform the Sun Ray Server Software installation. Prepare environment and Reboot server in order to enable the Sun Ray Server Software. Configuring SunRay Services on a shared LAN allow for Ultra-Thin clients to be used on a non-dedicated interconnect. This is helpful in a DHCP environment where the server hosting the Sun Ray Server Software is receiving its configuration through DHCP. The Sun Ray terminals, configured to use DHCP by default, should automatically receive a prompt. The Sun Ray Ultra Thin terminals will locate the Sun Ray Server via multicast. If any terminals are not receiving a prompt, they can be reset via a CNTRL-A. A private interconnect is preferred to ensure that the Ultra Thin terminals are receiving the proper quality of service over the network. For systems with a large number of terminals, this (more complex) configuration is preferable. If the server will have a dedicated interconnect, select a network such as "192.168.2.0/24", and a new physical port to serve DHCP such as "hme1". Selected values for interface "hme1"
Configure Sun Ray Kiosk Mode? (y/[n])? Configure this server for a failover group? (y/[n])? Unique "/etc/opt/SUNWut/gmSignature" has been generated. the log file, /var/adm/log/utconfig.2010_06_03_13:48:03.log, for errors. To use a SunRay Ultra-Thin client on the WAN, follow these instructions to update to WAN firmware on an individual sunray. Test your access to the SunRay Administration GUI. Enable SDAC access, if the soft-client is planned to be used. The process for installation of the Sun Ray Server Software is fairly simple, many of the steps are not needed if a DHCP server and command line administration are sufficient. Added more detail to the installation instructions and abstract. When any vendor releases a piece of software, there is a schedule to keep. If a piece of software must be perfect before being released, it will never be released, because no one is perfect. After any software install, patching should be conducted. Patching on the local Solaris target machine with direct access to the internet is the most straight forward process and this document will describe this scenario. The first step in this process is to ensure that Solaris 10 Operating System is installed, followed by the installation of any optional Solaris 10 Contributed Software. The patching under Solaris 10 can be conducted via the "smpatch" command or the Java X Windows GUI "updatemanager'. The patching can be done via the "smpatch" at the command line. If you have not registered the new installation for the Update Manager, the system will inform you of this requirement. Failure: Cannot connect to retrieve detectors.jar: This system is currently unregistered and is unable to retrieve patches from the Sun Update Connection. Please register your system using the Update Manager, /usr/bin/updatemanager or provide valid Sun Online Account(SOA) credentials. The process for registering a system on the Update Manager can be done via a GUI. From the JAVA GUI, first time users will be prompted for a username and password. If you have not formerly registered, you will need to register on-line, to get an ID, in order to get your patches. Once the Update Manager has finished the registration process of the server, either the X Windows GUI or Command Line Interface can be used to continue patching. Since the Update Manager is already running, it makes sense to use the GUI to install the outstanding patches after an initial install. The "Installing" popup box appears, providing an indication of the progress. Patching can be conducted using the lighter weight "smpatch" command line. 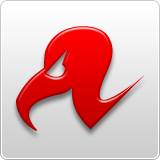 The "analyze" command will display all patches outstanding while the "update" command will query, download, and apply all the patches automatically. If patches were installed which requires the system to restart, the best commands to engage those patches are the "init" or "shutdown" commands - the "reboot" command will not engage those patches. The "init" process will take some time to complete, but the system will come down and restart. 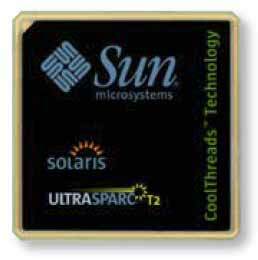 Solaris 10 is an operating system based upon open source software and AT&T System V software. Other open sourced software has traditionally been available. Sun had started the process of bundling open software on a separate companion disk with their operating system. The first step of this series, is to install the Solaris 10 operating system. Insert the Companion CD into the CD-ROM drive on the server, the Volume Manager (vold) will automatically mount the CD-ROM. 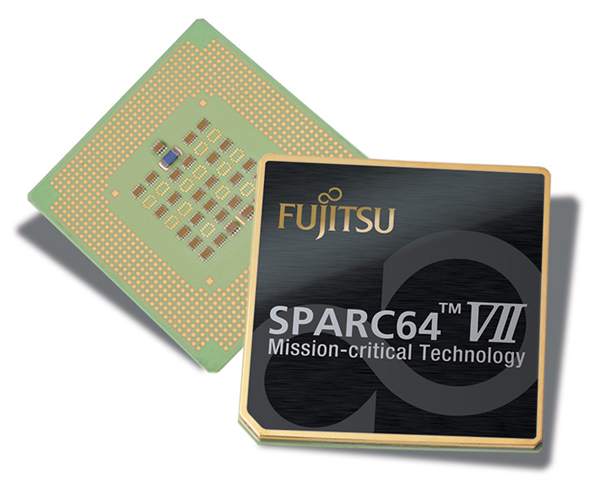 The Companion CD bundles the source code, proprietary Intel object code, and open SPARC object code packages. To install all the packages, use AT&T System V packaging command "pkgadd" for the architecture the system which is being installed under (i.e. 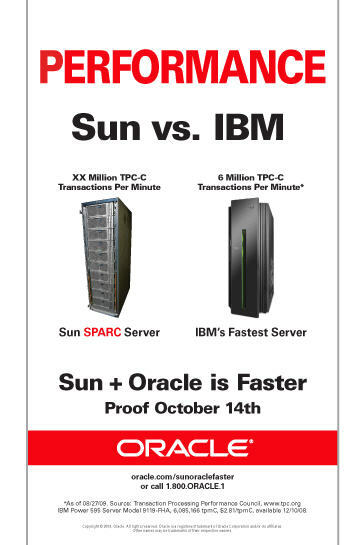 sun4u is sparc). One can pick the packages they want to install, but since there are many prerequisites, this is probably not the wisest way. One should always sit there, the first time they do this in their lives, and press "y" about 100 times, during the install process, reading everything that goes by, so they understand what they are installing. After doing several installs, one should automate the process. The README file describes a process to build some install defaults in "/var/tmp/admin" and allow "pkgadd" to just perform the installs automatically. The instructions below use a "here document" in shell, in order to remove the requirement of a user typing this information in manually. After adding the packages, one should patch Solaris with the latest fixes. This is a description of a fresh Solaris 10 SPARC installation on a Sun server which includes everything except OEM packages. Solaris 10 is available under DVD or CD-ROM for free from the Sun Solaris downloads web site. Most Sun servers come with a DVD or a CD-ROM drive. Installation from a CD-ROM is a time intensive process - it is vastly easier to buy a DVD-ROM drive from eBay than it is to go through the CD-ROM install with a half-dozen disks of media. First, the SPARC Solaris 10 DVD should be inserted into the DVD drive. The system should be brought down to firmware mode, at the "ok>" prompt. As the system installer provides prompts, answer the questions. Please note, this installation is assuming the ISP designates a default router of 192.168.1.254 and a hardware firewall is designated as 192.168.3.1 in the network topology. These parameters may be different for your network! - use DHCP for hme0? - host name for hme0? - IP address for hme0? - system part of a subnet? - enable IPv6 for hme0? - search domain: (none) default route for hme0? - router address for hme0? - "Unable to find an address entry for Ultra2 within the specified DNS configuration. Enter new name configuration? - Scan for additional software? - update eprom to boot from disk 0? - auto or manual slice layout? - mount remote file systems? Log in as "root", reboot the machine and eject the DVD to completely test the install. Please note, in a real installation, a root password should be set. After the machine comes back up, the installation of the Contributed Software should occur. If no additional software is required, patching Solaris is the next step. Timothy Prickett Morgan writes in The Register, "Considering that VirtualBox came from a German company (Innotek) that Sun bought in February 2008 because its own Xen-based virtualization efforts were woefully behind..."
That statement is categorically untrue... personal pet speculations should never be conveyed as fact by a reasonable writer. There has never been any published statement from Sun confirming this writers opinion. To make a truthful statement , one would need to have a reference from Sun, none has been presented, and I have personally never seen such a statement from Sun. Let the reader try to understand this odd line of thinking - VirtualBox was purchased last year, Sun VirtualBox just gets Live Migration, and Sun xVM Hypervisor had live migration for some time... Sun xVM Hypervisor is not "woefully behind". Sun xVM Hypervisor, is bundled with OpenSolaris, paid production support is available, and Sun xVM Hypervisor has been able to do live migration for some time, and Sun xvM Hypervisor hosts Solaris 10 x64 operating systems... Live Migration is even available with the Xen volume sitting on top of an NFS file share on top of ZFS - that is certainly not "woefully behind"! Sun announced development is continuing on xVM Hypervisor under x64 servers with more features due... OpenSolaris will continue to be the place to get it. If a company is thinking about deploying Linux with an x86 Xen hypervisor to run Solaris 10, there is far less risk with considering Xen under OpenSolaris with Sun xVM Hypervisor - paid production support are available directly from Sun for OpenSolaris. Clearly, Sun xVM Hypervisor is out, is being developed, and offers very nice features that Type 2 Hypervisors like Sun VirtualBox are starting to include. The xVM Hypervisor for x64 was never billed as a Solaris 10 feature. Contrast this to ZFS, which did not make the first cut of Solaris 10. Clearly, Sun xVM Hypervisor is not "woefully behind" if it was never scheduled to be in Solaris 10. The Sun xVM Hypervisor for x64 was merged into the OpenSolaris source code base. One would logically conclude the xVM Hypervisor is being groomed as a feature in the next major release of Solaris (i.e. perhaps Solaris 11?) for those companies who don't want to mess with pure Open Source operating systems like OpenSolaris. So, what is next for OpenSolaris??? Glynn Foster, OpenSolaris product manager at Sun, speaks at Oracle Open World 2009. Interactive SPARC installation and xVM Server updates for x64 look like the big winners in March 2010! Sun had been a tremendous advocate of Open Standards for decades. One of the most influential standards advocated by Sun had been Hyper Text Transfer Protocol, or "http". This protocol is most often served by a server program, called a "daemon". Many people and organizations create "httpd" servers, one such group is the "Apache Software Foundation", where employees from Sun had been elected to the board, and members of the board had served in authoritative positions on other Sun open source projects. The "httpd" daemon from "Apache", one of the most popular http servers in the world today, is bundled into Sun's Solaris Operating System. Solaris 10 comes shipped with an HTTP server, but it is disabled by default. The services infrastructure shows the server, even if you are uncertain how to identify the service. The Apache "httpd" server uses a configuration file, which must be minimally configured, before it will operate. The service can be enabled in Solaris 10 via the Service Administration command. Sun Microsystems had started as a UNIX workstation vendor based upon BSD UNIX. Most of these workstations were based upon diskless or dataless environments, where user data was stored on centralized servers. After an investment from AT&T, Sun has moved from predominantly a workstation vendor to a server, using AT&T SVR4 UNIX multi-processor scalable source code. In the process of moving it's core business to servers, Sun refocused their efforts on even lower costing thin clients. The SunRay line of ultra-thin clients provides virtually all processing on the server, with virtually all the data on the server, with merely providing the display, keyboard, mouse, and local ports through a multiplexed network connection. Sun recently provided Wide Area Network capability to the SunRay clients. When a Sun Ray is attached to a dedicated network, the Solaris platform will provide for it an IP Address via DHCP. The physical address is written on the DTU, so the IP can be correlated via the "arp" command. Once can query the Sun Ray (by IP address) to determine the firmware level. Note, there is no WAN firmware on this unit, since there was no "GUI" prefix on the firmware identification. The firmware must be upgraded to the GUI version. This is done using the user teriminal firmware administration tool, by the hardware address. After booting the desktop unit, a second query will reveal the new firmware with the GUI prefix. The desktop unit is now ready to be leveraged across a WAN.